You want to sleep better? You’re longing for a full night of sleep with no tossing and turning. You’re only dreaming about waking up feeling rested and energetic to take on your busy day. Wouldn’t it be a great dream if it was true? Get your Sleep Advice journey here. This is what the experts are saying about sleep, rest, and eliminating barriers to falling asleep. We want to give you our favorite experts sleep advice in place. Dr. Breus is a friend of our founder, Steve Van Diest, and been an influence on our sleep, our design and outlook on health and wellness. Michael Breus PhD is a Board certified Sleep Specialist and living in Manhattan Beach CA. Author of three bestselling books, Good Night, The Sleep Doctor’s Diet Plan, & The Power of When. 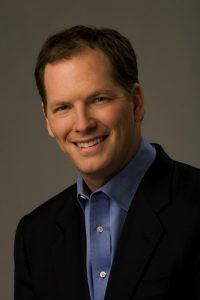 Dr. Breus appears regularly on The Dr. Oz Show, CBS Early Show, The Today Show, and KTLA. He contributes to Psychology Today, and Readers Digest. He is the official sleep expert for Princess Cruise lines where he helped to develop the “SLEEP by Princess” program and the Princess Luxury Bed, and for iHome and their Zenergy line of sound machines. Dr. Cralle is another friend of ours and we love her insights into sleep. Terry is a credentialed andexperienced clinical sleep educator, providing critical information and guidance to a wide array of audiences. Terry is a recognized industry leader–speaker, consultant, and author–providing essential information in a thoughtful, understandable and entertaining format. This blog’s title says it all. This blogs covers everything from sleep disorders to sleep health. They focus on offering advice and research to ensure everyone gets the right amount of sleep needed to live a long, healthy life. We like the variety of reviews and insights. Some we agree with and others we don’t. But you are wise and will make your own decisions. Here at Sleep.org by the National Sleep Foundation they are dedicated to starting a movement about the positive benefits of sleep health. Learn more about how you can feel better and start improving your sleep today. If you’re looking for tips on how to choose a pillow, ha, look no further. We are your best pillow ever. You can see our pillow choosing guide here.